Note: If you make a change in the floating order book, the order is resubmitted. 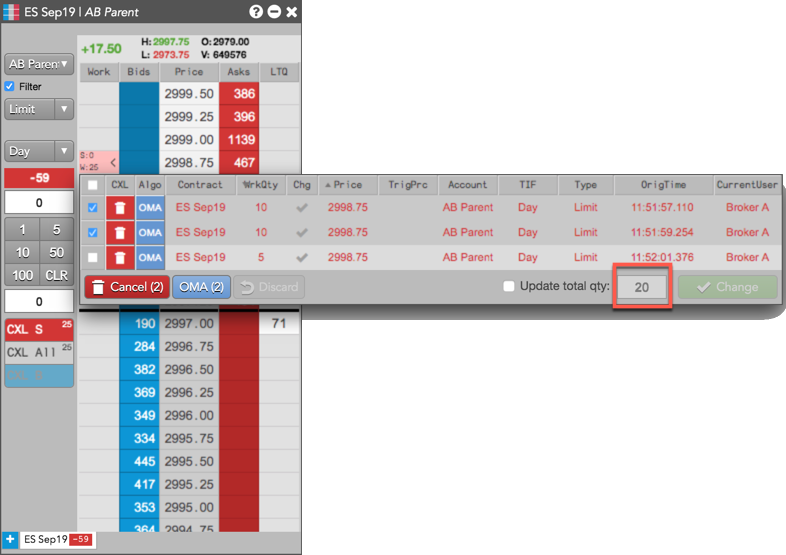 In the working order cell, click the middle mouse button to open the Floating Order Book. Right-click or left-click to increase or decrease the price and quantity value, respectively. Use the middle mouse button to scroll the price and quantity values up and down. Use the up and down arrows keys to change the price and quantity values. Enter specific price and quantity values. If you click a TIF value, click the drop-down arrow and select a TIF restriction. After you finishing changing the desired fields, click to complete the change. If you have multiple orders working at a the same price level, you can quickly reduce the total quantity of the these orders. TT will begin deleting newer orders, so you maintain position-in-queue, until the total quantity of the remaining orders matches your desired lower total. For more information about how the feature works, see Managing orders in MD Trader. 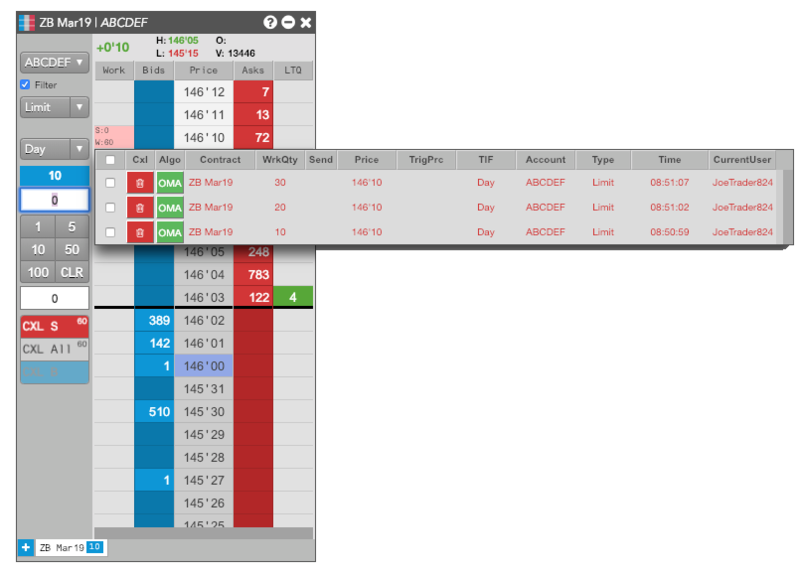 Right-click on the price-level with multiple working orders in MD Trader to display the Floating Order Book. With the Floating Order Book already open, select the orders whose total quantity you want to reduce. 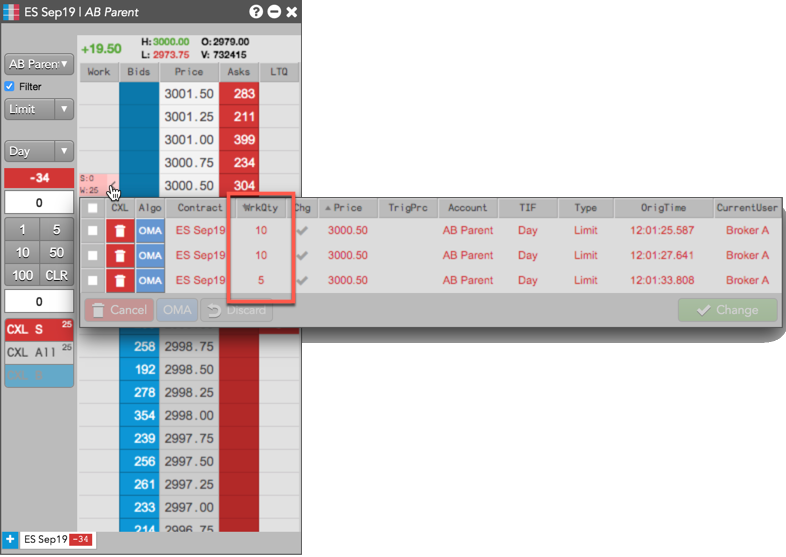 When you select multiple or all orders, the total quantity of the selected orders is displayed in an entry box. Notice the necessary orders are removed or resized immediately to reflect the new total.